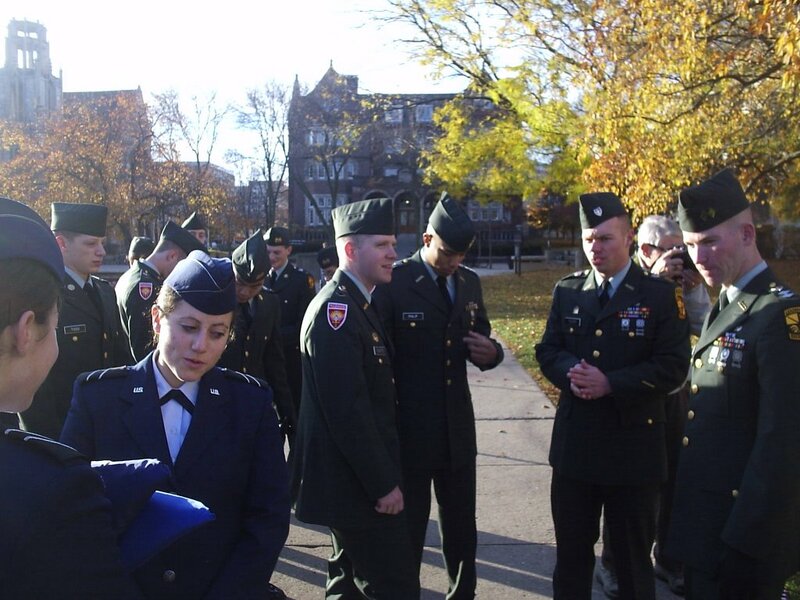 Flash: Madison will host the first Veterans' Day parade in 30 years this Friday. Some students are organizing it and it should be a great time. They kicked off a week of events yesterday with a press conference that was picked up by the campus dailys as well as WPR and AM 1310. For the first time in a long time, Madison has a chance to become REASONABLE. campus, ASM officials said they are attempting to dispel the Madison and University of Wisconsin liberal "nuance" toward not supporting the military. Because many students and alumni of the university are also soldiers, the events are intended to bring a non-political resurgence of support for them during wartime. "This is the first year in a long time that they've had a veteran's [parade]," Vice Chair of the Support the Troops campaign Robert Thelen said. Really, we just wanted to get it going. Thelen said since the infamous riots in the 60s in protest of the Vietnam War, Madison has carried a typecast as being unsupportive of the military. The events of this week aim to breakdown that misconception. 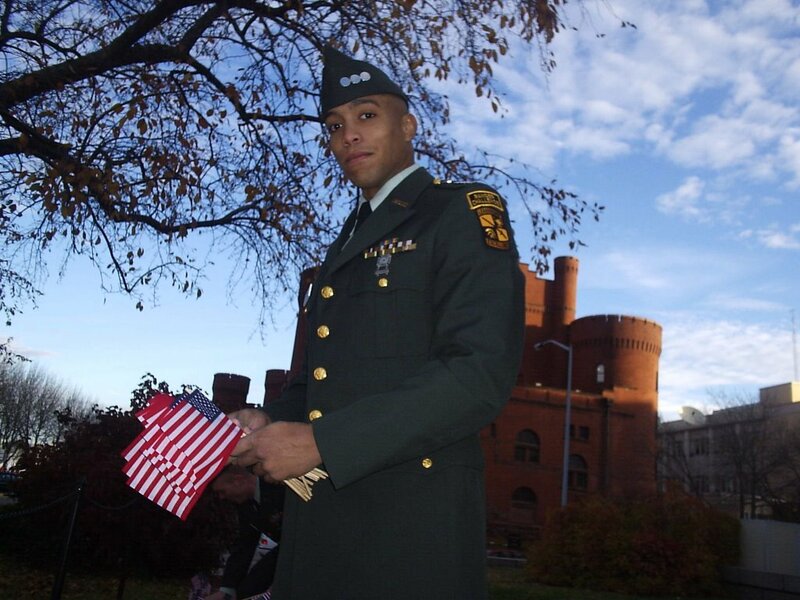 "We want to take away the negative stereotype and show that Madison is a reasonable place and a place that respects soldiers," he said. Thelen added the parade is quite possibly the first since the mid-80s. 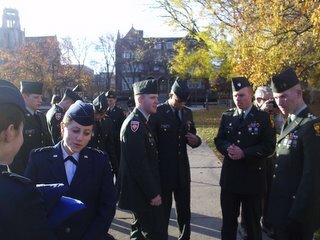 Today, ROTC cadets (Joint Service: Air Force and Army) continued the "Tribute to Veterans" by placing over 2500 flags in the ground at Library Mall and dreveilleass revielle. The purpose of threveilleand revielle is to raise awareness of Veterans' Day. Uh, why isn't the time listed anywhere? Feature: Reframing "the young conservative"